Professor Nelson Tansu is the first speaker for The Michael and Judith Gaulke Distinguished Lecture Series. The lecture series brings internationally renowned scholars to Oregon State to ensure that our students and faculty have access to important technology breakthroughs, as well as the fundamental science and engineering that is the foundation for today’s high tech advances. Tansu’s research focuses on the physics and device technologies of semiconductor nanostructures for photonics and energy-efficiency applications. Specifically, he has had made seminal advances to the invention and innovation, fundamental sciences, and device technologies of III-V and III-Nitride semiconductors. His innovations have impacted areas of dilute-nitride diode lasers, and III-nitride semiconductor technologies for energy efficiency. 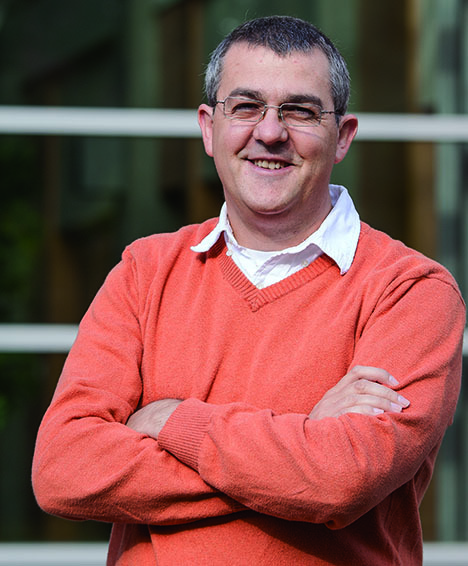 On Monday, September 24 at 4:00 he will present his talk “Beyond Conventional III-Nitride Materials and Devices – from Photonics to New Applications.” The talk is held in Learning Innovation Center, room 200 on the Oregon State University campus. 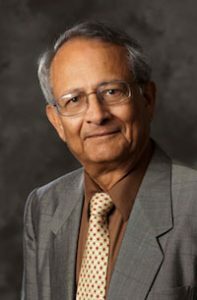 Tansu is Fellow of the National Academy of Inventors, the Daniel E. ’39 and Patricia M. Smith Endowed Chair Professor in the Department of Electrical and Computer Engineering, and Director for the Integrated Photonics and Nanofabrication Core Laboratory and Center for Photonics and Nanoelectronics at Lehigh University. He has more than 16 US patents, and his work is integrated in today’s state-of-the-art solid-state lighting technology. He has authored more than 134 refereed journals and 279 conference publications. His life story as a professor was published in the form of best-selling children’s book “Nelson the Boy who Loved to Read” in his native country Indonesia. 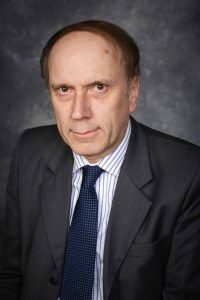 He serves as the Editor-in-Chief for Photonics and Editorial Board Members in eight other leading journals in applied physics and nanotechnology. Danny Dig, associate professor of computer science, is leading the effort to create the PPI Center. Oregon State University is hosting a planning workshop for a new industry-focused pervasive personalized intelligence center on October 11-12, 2018 in Portland, Oregon. The center would allow for interdisciplinary and collaborative research on machine-learning based software systems and aid in long-term partnerships between startups, corporations, universities and government agencies. Industry members involved leverage affiliate investment, have direct access to students, and enjoy company savings thanks to low risk and accelerated research and development. “At Rigado we are committed to building a scalable, interconnected IoT that drives real business value. In support of those efforts to expand the ecosystem and interoperability we are pleased to be taking part in the Planning Workshop for the Center on IoT. We encourage anyone looking at digital transformation for your business to join us in helping to shape the future of IoT,” said co-founder and chief executive officer of Rigado. If created, center headquarters would be at Oregon State with a site at University of Colorado Boulder supporting research under the supervision of the U.S. National Science Foundation using the Industry-University Cooperative Research Centers model. “CU Boulder is thrilled to be a partner in making the PPI Center a reality. The software challenges of tomorrow are simply too great for any single university or company to tackle alone. 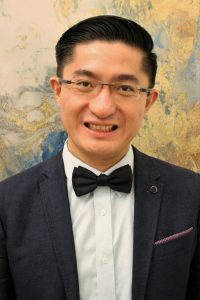 Fortunately, CU and Oregon State bring complementary expertise and a can-do, cooperative attitude to the center effort,” said Bor-Yuh Evan Chang, co-director for the PPI Center and associate professor of computer science at University of Colorado Boulder. Twenty-nine faculty across the focus areas, including ACM Fellows Tom Dietterich and Margaret Burnett. About: Planned topics include meeting industry needs, NSF best practices and defining relevant research projects. Mark Clements, senior development and QA manager for CASS, teaches during the workshop. 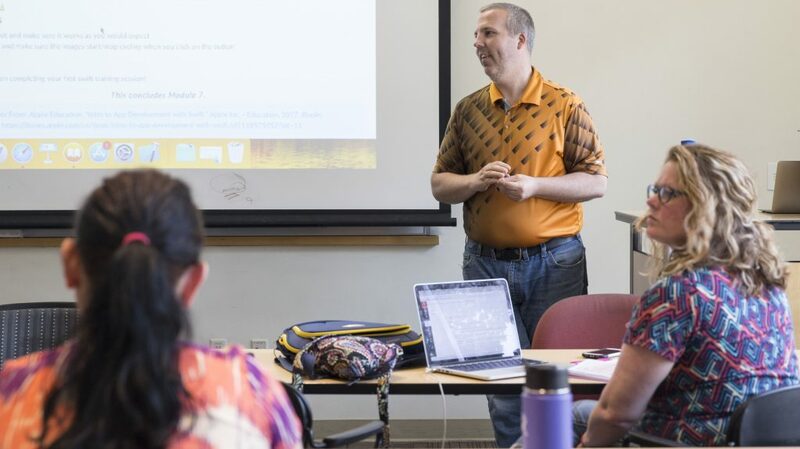 Employees in the Center for Applied Systems and Software (CASS) in the College of Engineering are teaching a workshop for high school teachers to learn how to create mobile apps for Apple devices. The three-day workshop is being held August 13 – 15, 2018 by Professional and Continuing Education (PACE) at Oregon State University. The course is intended for any interested teacher, even if they have no programming experience. By the end of the workshop the participants will create their own app that can run on an Apple device using the programming language called Swift. They will also have the tools, including lesson plans, to teach programming in their class. Another benefit is that they will continue to have online support with CASS when they are implementing the program in their class. “By teaching this workshop, we are enabling teachers to use this really awesome curriculum from Apple in their high schools. And then hopefully that will help interest more young people in computer science,” said Carrie Hertel, director of the Software Development Group for CASS. Hertel is excited to expand CASS’s outreach to high school teachers and hopes to hold more workshops in the future, as well as provide a modified workshop for professionals. 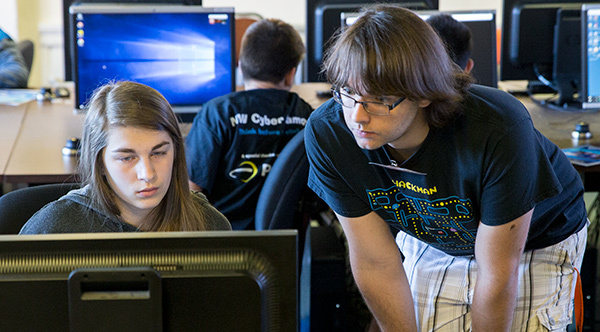 Zander Work (right) helps a student at the NW Cyber Camp held at Oregon State University. A week-long camp to introduce high-school students to cybersecurity was held on the Oregon State University campus last week. Although it was the first time the camp was held in Corvallis, it is the third year the camp has been operating. The location was not happenstance. NW Cyber Camp co-founder, Zander Work, just completed his freshman year at Oregon State where he made connections with faculty and graduate students in cyber security who helped teach the courses. 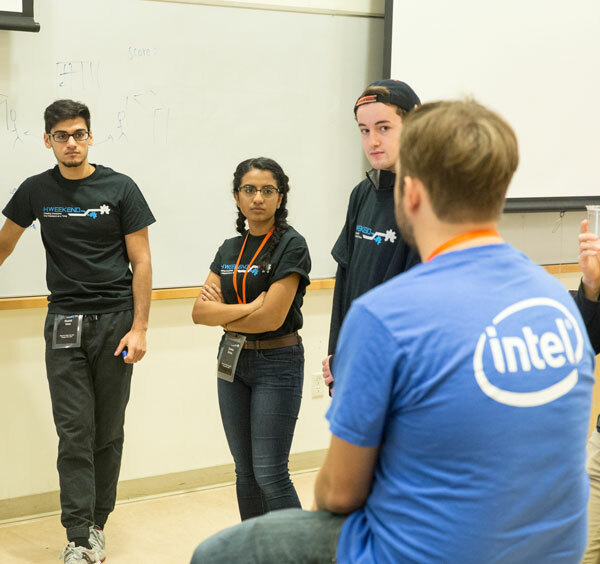 Instructors also included alumni and other industry representatives from NuScale Power, McAfee, Splunk, NetSPI, Cylance, and PKI Solutions. The goal of the camp is to get more students interested in the field of cybersecurity which has over 300,000 unfilled job openings, according to Cyber Seek. Jayde, another camp participant, already has plans to join the Air Force and focus on cybersecurity. 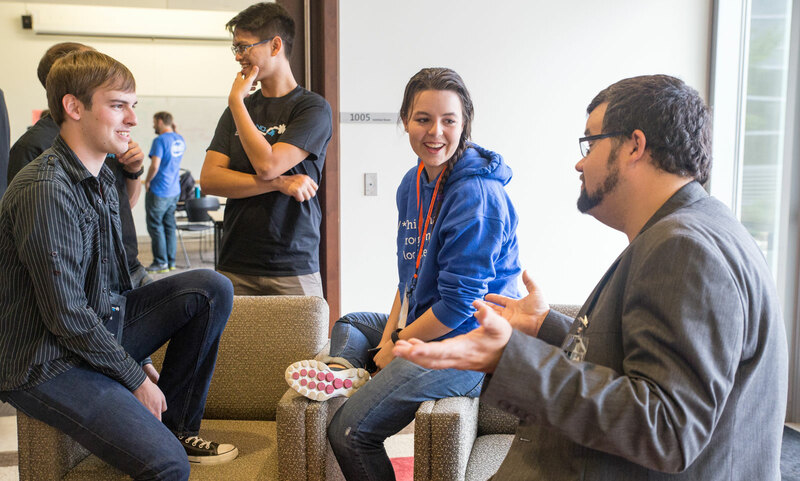 “I really liked the hands-on activities and learning about real examples of hacking,” Jayde said. Both students mentioned it was harder than they were expecting, but in a good way. “The guest speakers have been fantastic. Everyone is knowledgeable and teach at a rigorous enough level that people don’t get bored,” Grace said. The 20 students at the Oregon State camp came from Corvallis, Albany, Philomath and Lebanon. The camp overall hosted 110 students this summer including sites in Portland, Gresham, Wilsonville, and Bend. 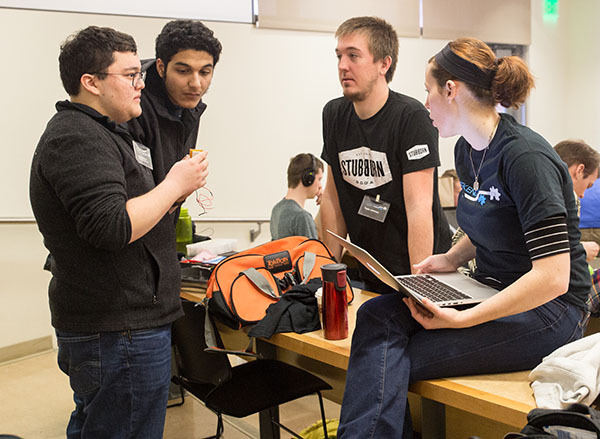 Students working at NW Cyber Camp held at Oregon State University. 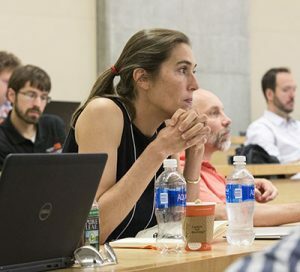 Researchers from universities, national laboratories, and tech companies came to Oregon State University this July to discuss needs and challenges in measuring the performance of magnetic nanodevices. 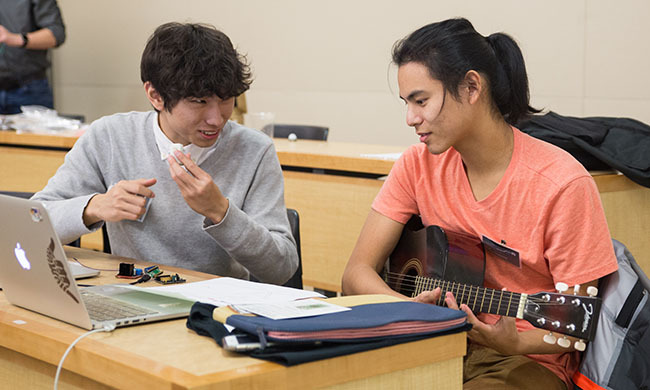 This first-time workshop, called “Frontiers in Metrology Techniques for Magnetic Nanodevices” drew participants from as far away as Japan, Belgium and the United Kingdom. 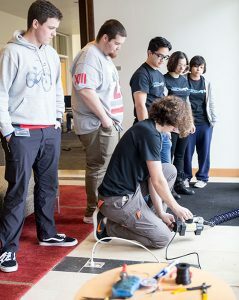 It was jointly organized by Pallavi Dhagat, associate professor of electrical and computer engineering, and Thomas Silva at the National Institute for Standards and Technology. The purpose of the workshop was to bring together researchers from diverse areas working on magnetic nanotechnologies to share information that could spark collaborations and advance the field. The format of the workshop emphasized networking and encouraged sharing unpublished and ongoing work. Ania Bleszynski Jayich, associate professor of physics at UC Santa Barbara, attended the workshop at Oregon State University. Although there are several conferences in the field of magnetism this was the first international workshop that was focused solely on metrology. Attendees gave very positive feedback and indicated they would like it to become a biennial event. Support for the workshop was provided by Oregon State University, Oregon Nanoscience and Microtechnologies Institute and Intel. Danny Dig and his colleagues discovered widespread problems in mobile app development that can cause applications to be unresponsive and “freeze.” After looking at over 1,000 open-source mobile apps, they found two main problems — underuse and misuse of asynchronous programming. The solution is to move the blocking calls into the background with asynchronous programming. Dig’s team has sent out hundreds of patches to developers to fix the problems in their code, and they have created tools that developers can use to find and fix asynchrony errors. Their webpages LearnAsync.NET and refactoring.info/tools give many examples of asynchronous programming and access to the tools. “Now what I want to do is help people avoid making those mistakes in the first place,” Dig said. As part of his educational efforts, Dig will be presenting in Portland, Oregon for the Technology Association of Oregon in June. The cost is $25 for members and $45 for non-members. The presentation will be a technical overview of why asynchrony is important, it will include descriptions of the common pitfalls and best practices, and he will also demonstrate the tools he has developed.